Forecasting the emerging opportunities in health care infrastructure renewal that lay ahead, FBM has added respected architect Dennis Ramsay to their roster as their new Health Care Lead. Ramsay comes to FBM with a wealth of expertise in health care infrastructure design. His projects have included the Valley Regional Hospital, St. Martha's Hospital Redevelopment, the new Colchester East Hants Health Centre, the new Hybrid and Interventional Suites at the QEII, and most recently the new NICU and PICU at the IWK Health Centre. Nationally as Principal, National Sector Leader, Healthcare for Architecture49, Ramsay provided leadership to their healthcare portfolio including the design of national and international projects. A graduate of Dalhousie University, Ramsay has built an extensive portfolio not only in health care, but also in educational, institutional and residential facilities. 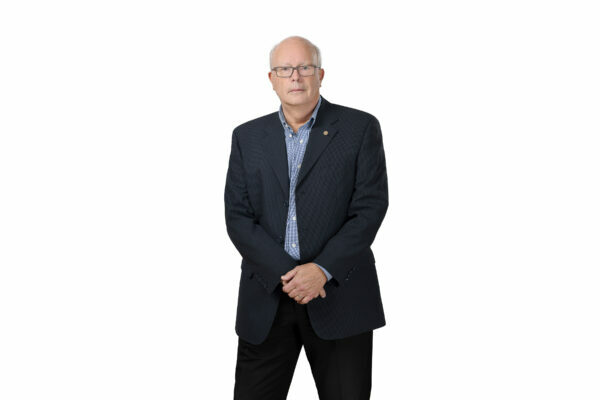 He has been a long-time supporter of the Nova Scotia Association of Architects, serving as Vice President for two terms as well as Chair of the Procurement Committee for over two decades.